Archived Website and New Website! As this year is a brand new year, focusing on a more mindful stress-relieving mood, we have created a new website, especially for a new mindfulness course: out new Panther "Pause" Challenge. In it, we will be guiding people through the basics of mindfulness, providing resources and videos for people to follow along. We will be using this program in our own school as well, and the program is open to ANYONE who wants to do it. It's still in construction, but we promise it will be out soon. Visit this link for updates and the Panther "Pause" Challenge from now on: nuyuchallenge.weebly.com. 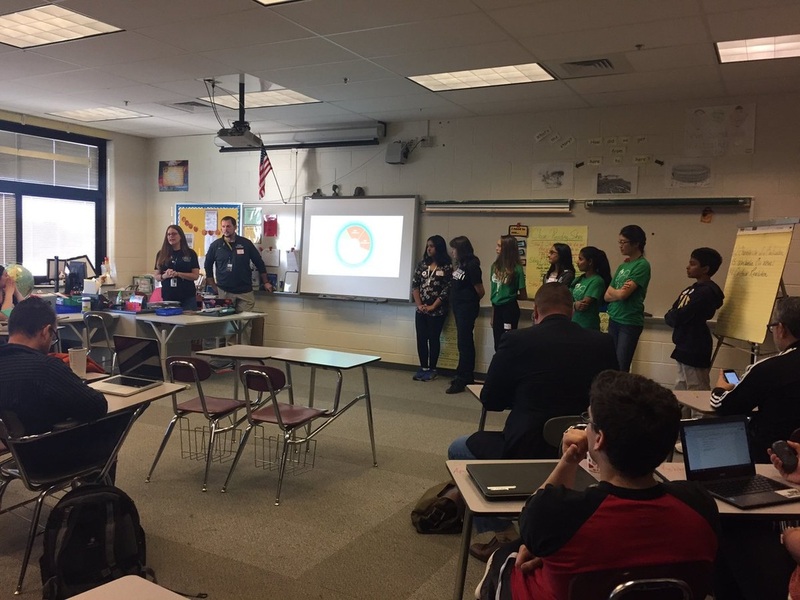 Yesterday, Saturday, November 20th, seven of our team members went to Grover Middle School in the West Windsor-Plainsboro school district to talk to teachers from around New Jersey about the social-emotional needs of students, and how mindfulness can be incorporated into the classroom. 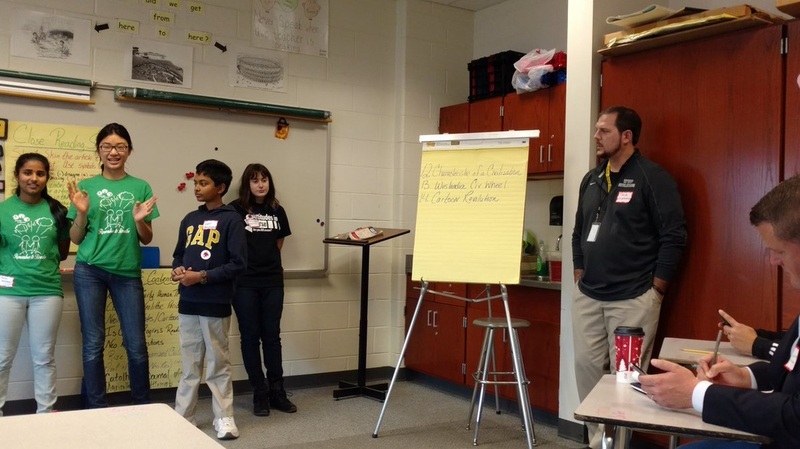 We started our with a "Get off of Autopilot" activity, where teachers were told to stand up. Then, they were given two commands, such as walk and stop. We kept on adding more commands, and switching the definitions, to get teachers more alert and off autopilot. 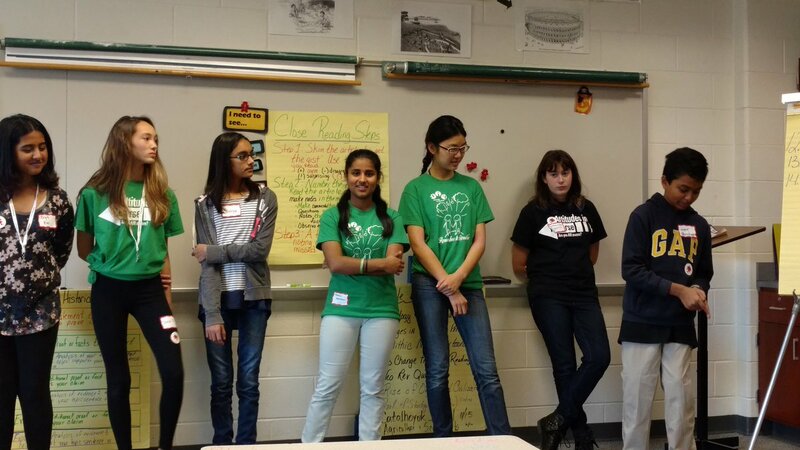 Diya, Katherine, Olivia, Shreya, Phanisree, Maya, and Vivek, as well as Dr. MC presenting to teachers from around NJ. Olivia sharing bullet journaling: a mindfulness coping strategy. Overall, the session was a great success, and we got in touch with many teachers to collaborate in teaching students mindfulness. We are deeper into the school year, and rolling! Part or our team is organizing various fundraisers in our school to raise money for our team. One sale item that seems really popular is the glitter jar! 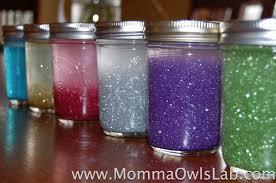 Remember the glitter jar we used in one of our mindfulness sessions last year? Well, we'll be selling them! More news on that and other products will be coming soon. On a different note, we are drafting a survey to give out to the students. If you were in the first two health cycles, you probably remember it. But this year, it'll be slightly different. Because we are focusing more on mindfulness, there will be a section in the survey about mindfulness and what students know about it. We are hoping to orient our sessions, both in school and after school, more on mindfulness, and our Wellness Fair this year will include more mindfulness as well. 1. Staying present and aware of your surroundings. 2. Observing the world in a non-judgmental way; being accepting. Below, we have a few links that introduce mindfulness, the various aspects of it, and a few recordings you can listen to and follow along. That's it for now! Make sure to keep updated to get more tips on mindfulness. Remember our partnering with Attitudes in Reverse, with therapy dogs and volunteering? Well, we've gotten together with them again this year! 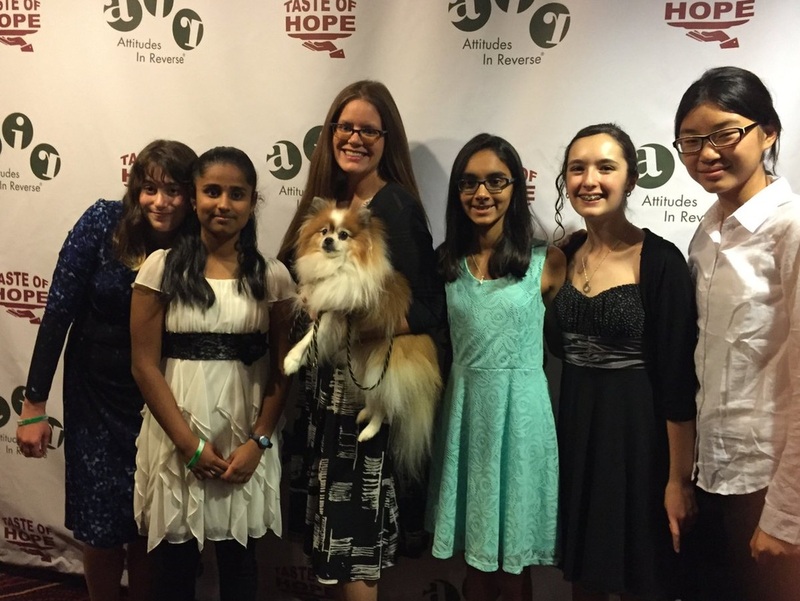 On October 6th, we attended their Taste of Hope event sponsored by AIR, where five of our team went and preformed. Four read poems and one created an animation about hope and stress to showcase. It was a great success! 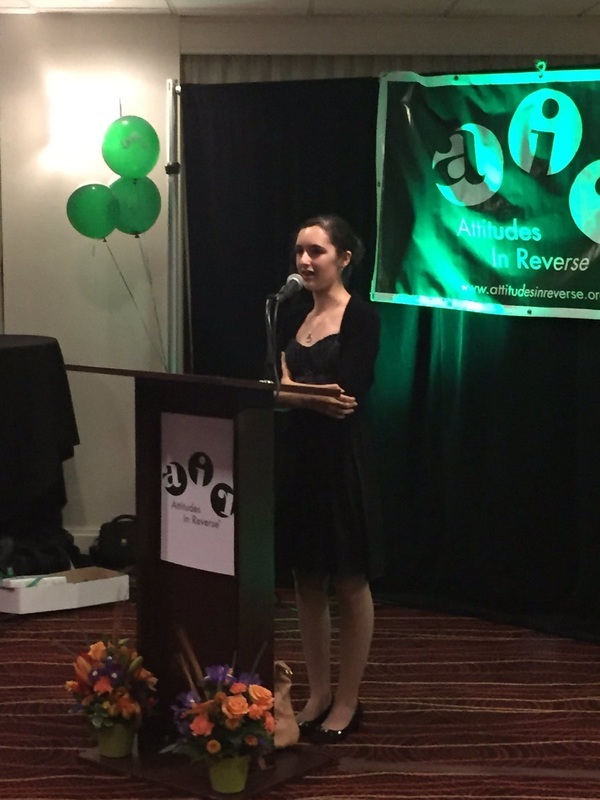 Thank you, Attitudes in Reverse, for inviting us. ​The pictures below are of us preforming. All in all, the event was extremely touching and motivating, and we are sure to partner up with AIR soon for another event. Today, NüYü had it's first official meeting with a few new members! We are nearing twenty people now! We reviewed the six-step problem solving process, as well as evolving our project to a new level and brainstorming solution ideas. These are a few we came up with (and you can look forward to some of them at CMS!) Firstly, we discussed various fundraising events, such as a color run (a run where you get splattered with paint). The color run will have booths along the way for people to rest and practice stress-relieving activities as well! We will be applying for grants from our PTSA, selling NüYü merchandise, and more. At the moment, we are designating people to manage our finances. We also came up with other ways to spread our project. As mentioned in the previous post, we have a twitter account. Make sure to visit it for more updates! Another idea is an app - filled with stress-relieving activities such as music for meditation, instructions for yoga, and up-to-date news about NüYü. This will require slightly more work than our other ideas, but we'll try! Something that is still in the air is improving the website by letting YOU make accounts! This idea is still very new and might or might not be implemented, but if it succeeds, you can create an account on our website and track stress, sleep, and stress-relieving activities. Our adviser, Dr. MC, teaching us about the UP (underlying problem). For every one of our possible solutions, we evaluated them to see whether or not they would address the underlying problem. If they did, they passed. If they didn't, we revised them so they would. We are also working on a four week program for stress-relieving activities! We will be playing games, doing yoga, meditation, and mindfulness in general. Ever heard of eating a raisin mindfully? We are so excited to start off a new year together, and will be posting regularly! We're expanding our network into social medias- our new Twitter account is @nuyu_team ...follow for awesome quotes and stress-relief strategies! Our Instagram is also @nuyu_team and features similar content to our Twitter. Now, NüYü is available whenever and wherever you need it. It's been a while, hasn't it? Summer break is here, and video games and the great outdoors occupy our minds most (or all) of the time. But after the International Competition in Michigan, we have started editing and revising our project. Next year, 2016 - 2017, we will be focusing on Mindfulness, several sessions of which we have already held last year. We have discovered an awesome book - The Mindful Teen - in which Mr. Dzung Vo teaches teens about what it means to be mindful and how. We will be reaching out to him and other experts in order to spread mindfulness throughout the district and reduce stress. But, if mindfulness is not for you, we will still host other activities that we had last year, such as drum circling, playing games, etc. A new year comes with new ideas, new possibilities, and new actions. Get ready, ​NüYü! 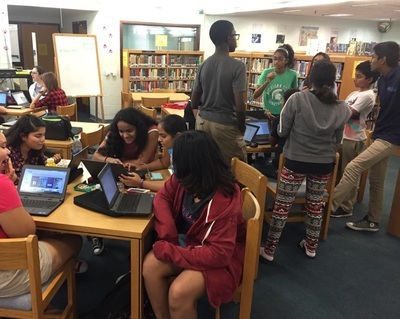 An event called Campaign Connect took place on May 24, 2016. Campaign Connect is where stakeholders teams of different schools came together in one location to discuss their progress in the six-step process. Campaign Connect and stakeholders teams are all about improving the experience of all parts of the school- whether it is the staff, the students, or the parents- which is why the stakeholders invited some members of NuYu to participate in their last meeting of the year. Proper representation of all parts of the school is important, right? This year, Community Middle School was certified as a Campaign Connect school. 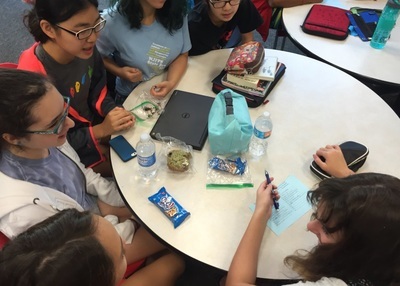 CmPS, specifically the NuYu team has had an important effect on CMS’s certification and the school’s completion of the first round of the six step process. 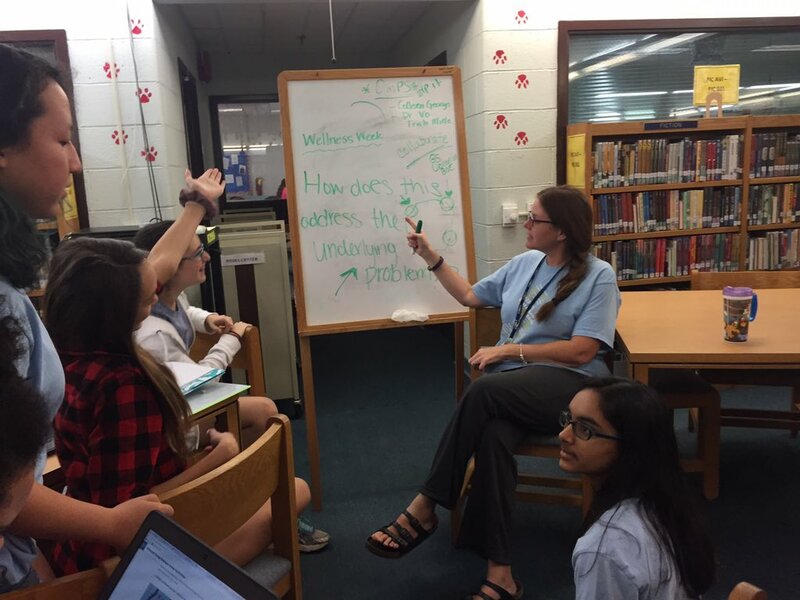 NuYu mainly affected step five of the Six-Step Process, by taking action against a huge problem in the West Windsor-Plainsboro School District. 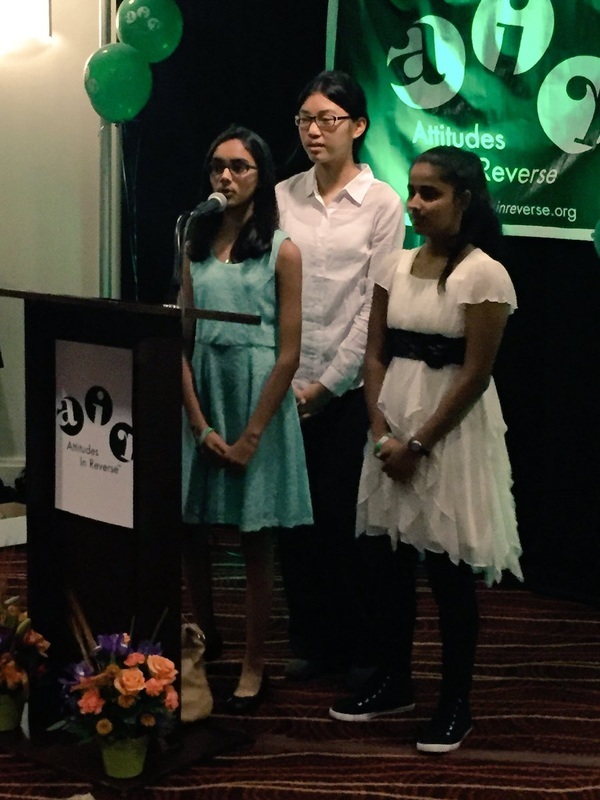 NuYu’s main goal is to help kids cope with stress - ultimately improving the school climate. 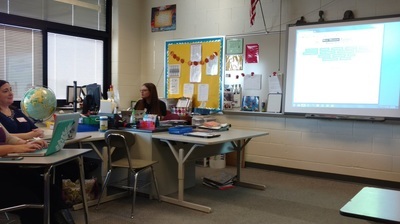 It was very interesting to see how students and teachers interact with each other outside of the school setting. Students were giving ideas to teachers, and teachers giving ideas to students, with everyone being seen equally. The main goal of this meeting was to formulate questions to ask staff, parents, and teachers to see their opinions on the school’s climate and culture. We students gave another perspective to the event, helping create questions that the staff may not have themselves. It really is an amazing thing how there is a place where students, teachers, and parents can discuss ideas and progress as equals. 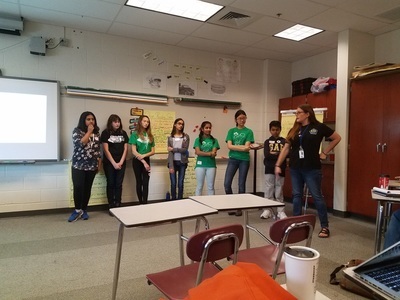 From a student’s perspective, building trust and friendship with a teacher is something that can’t be done in classrooms, but can be done at Campaign Connect. If this sort of thing can somehow be implemented in classrooms, then Community Middle School can become a better place for everyone! 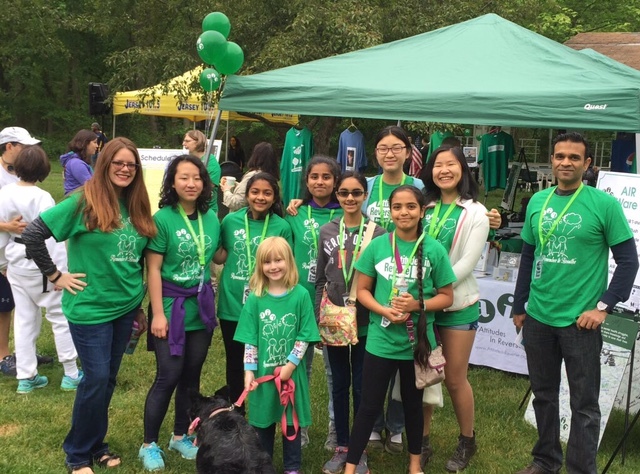 On Saturday, May 21st, a few of our team members as well as some people from our school's PRISM program traveled with Dr. MC (our gifted and talented teacher) to Mercer County Park to volunteer at a walk hosted by Attitudes in Reverse, a program that we had collaborated with before. They provided therapy dogs to sent to hospitals, schools, etc, and invited people to come walk their dogs or jog, both stress-relieving activities. 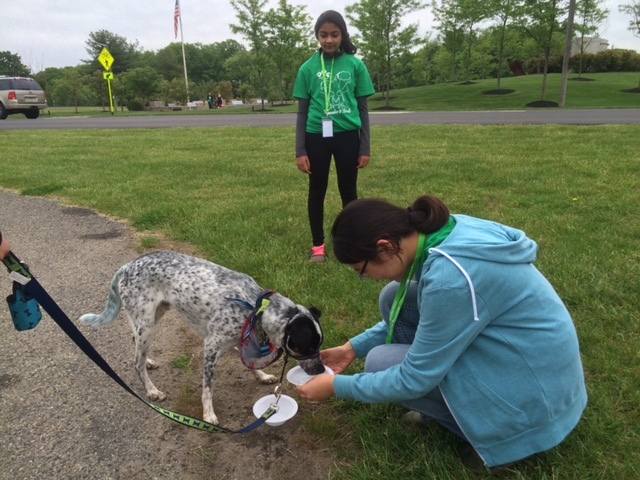 Our team members volunteered at water stations for thirsty walkers, joggers, or dogs, setting out bowls for the dogs to drink out of. All volunteers lining up for a photo, as well as Dr. MC's dog, Piper. Lining up bowls for the dogs to have a drink. 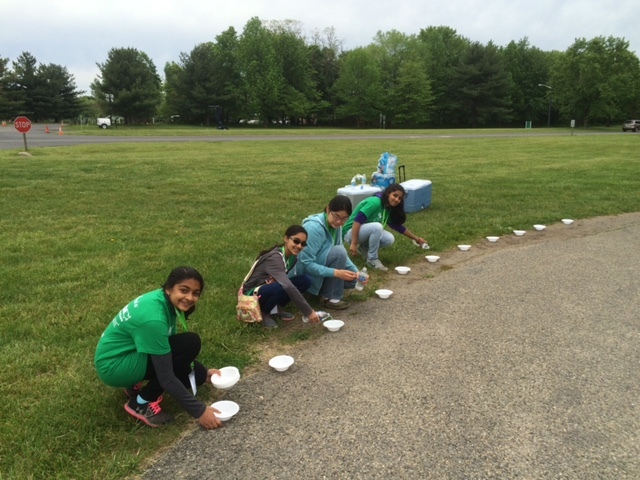 We also participated in the walk after handing out water, walking back to the start of the path. 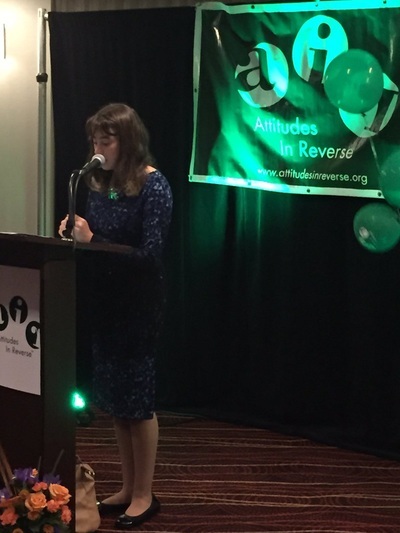 After the walk, Tricia Baker, the co-director of Attitudes in Reverse, spoke movingly about her son who killed himself due to stress and depression. We helped release butterflies to remember those unfortunate people, and to make sure they never stray far from us. 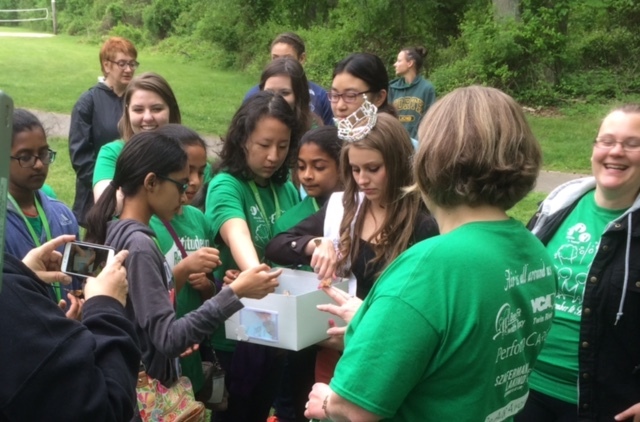 Releasing butterflies to remember the people who died too young due to suicide. 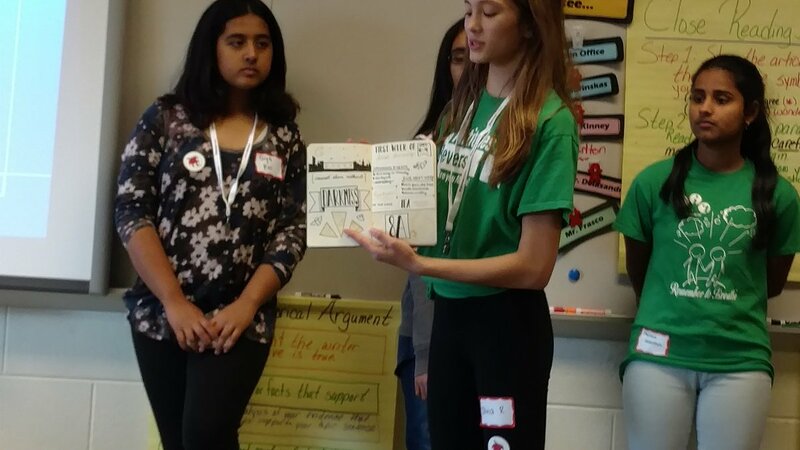 We learned much about suicide prevention, loss, and how we can help, which motivated us even more to help the children in our school, and others as well. ﻿This web page is brought to you by Olivia R. and Maya M., bloggers of the Nuyu Squad. Most (if not all of our pictures) are brought to you by our photographer, Hannah G.